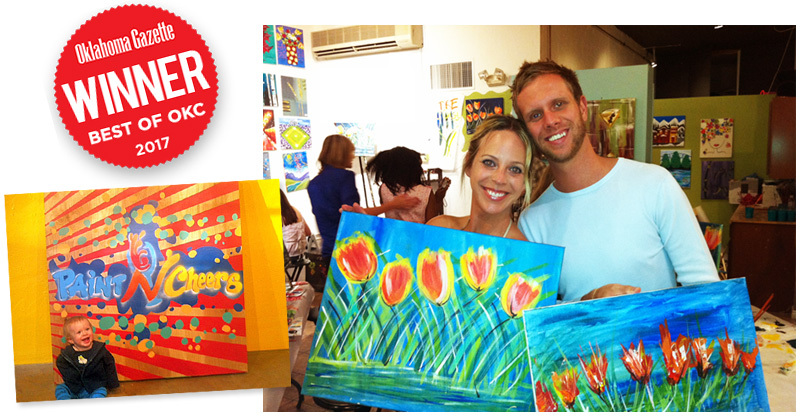 Located in the heart of Oklahoma City�s Plaza District, Paint N� Cheers seeks to provide the community with the opportunity to enjoy a beverage of your choice in a social interactive atmosphere, while also creating beautiful works of art. Adam received his Bachelor�s Degree in Studio Art from Oklahoma City University, while Stephanie earned her degree in Advertising from the University of Oklahoma. Together they have created a place where people not blessed with natural artistic talent can still create pieces that they can proudly call their own. Come Join in on the Fun Today!